The DUS60 is a rotary incremental encoder with built-in DIP switch configuration for the resolution, output voltage, and counting direction. The DUS60 configuration switches reduce the number of variants, enable easy replacement and quick commissioning, and increases the likelihood that spare parts will be in stock – all without any additional programming tools. 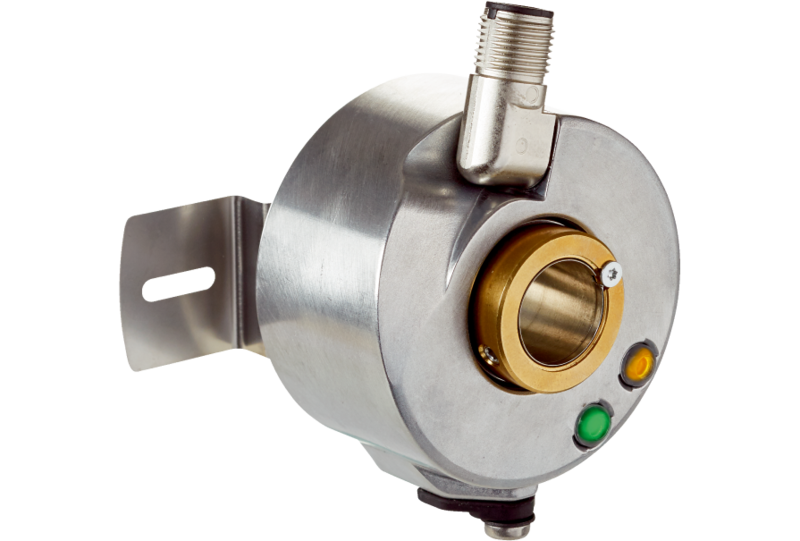 The on-board status and signal LEDs and optional fault output quickly indicate the functionality of the encoder, minimizing time required for both installation and troubleshooting. The DUS60 offers solid shaft and hollow bore mounting with rotating connectors or universal cables for quick and flexible mechanical installation. With resolutions up to 2,400 pulses, the DUS60 is ideal for factory and logistics automation applications.